but THIS NUMBER must new paths progress. This poem was included at the end of my retirement statement when I left the Australian Bureau of Statistics in 2002. At the time of leaving the Bureau had started to move to new offices close by. The weekend that I retired was the weekend that my Section was due to move. 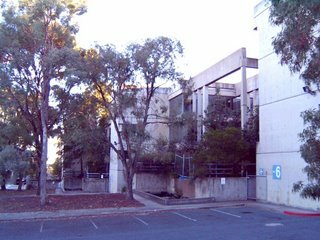 The old Cameron Offices are a solid concrete structure of nine wings. They have significant architectural merit and have not yet been demolished. I am happy to report that the Ginninderra Handicap Run, which I managed for 12 years, is still running along. A gift given by the Section was The Collective Poems of Judith Wright and a CD with the Macquarie Dictionary.